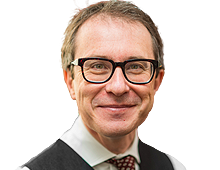 Jonathan is subject editor of Hill and Redman's Law of Landlord and Tenant and author (with David Elvin QC) of Unlawful Interference with Land second edition (2002). He was made a substantial contribution to Halsbury's Laws of England being a contributing editor to the Compulsory Acquisition title (1996), editor of the Distress title (2000, 2007 re-issues), the Forestry Title (2007 and 2009 re-issues) and editor of the forthcoming Perpetuities and Accumulations volume (due for publication 2013). He delivered the Blundell Memorial Lecture (2007) on the award of damages in lieu of injunctions. Articles of his may be found on the RICS website, in the Estates Gazette, the Journal of Planning and Environment Law and the New Law Journal.